Once your account is created, our support team will reach out to get Adot installed on your website. The Adot accessibility seal will be displayed at the bottom of your website which links to your new accessibility plan. After your plan has been created, we take your account one step further by building a simple accessible version of your website's most important content using Adot's built-in page editor. We will work with your point of contact to ensure the right content is added. Once the accessible version of your website is built and installed, the Adot accessibility seal will be displayed on the bottom of your website which goes to the new accessible version of your website. 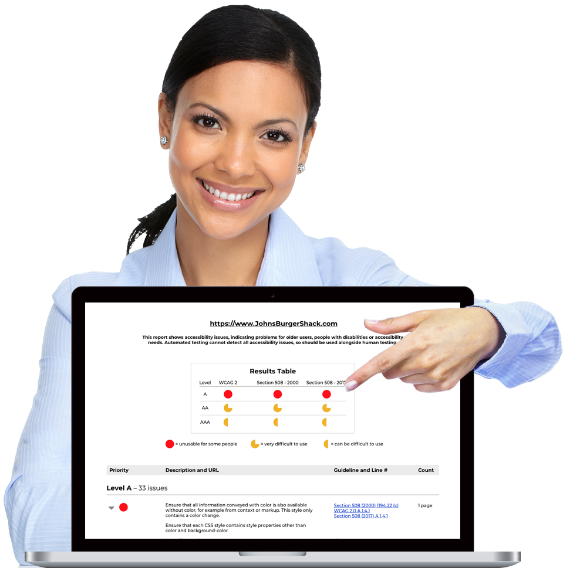 We'll scan your entire website and provide a report that breakdowns errors related to accessibility, overall quality, search compatibility, standards and usability. Then we'll schedule a call to review the document and make sure you know what you should be doing to correct your website. 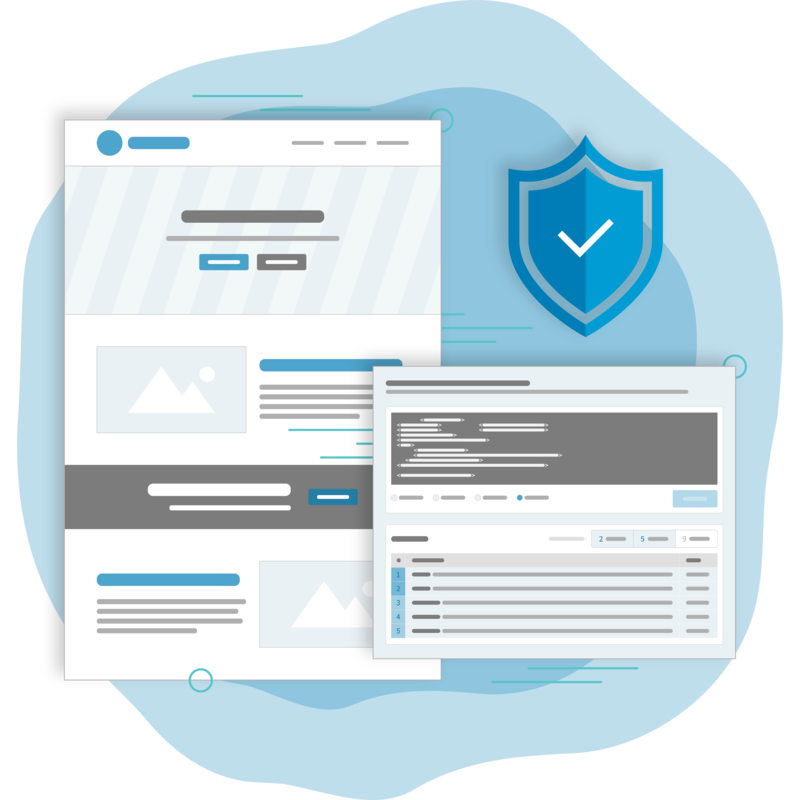 In order for the features of Protection Pack to display on your website, your current website will need to have a snippet of code inserted in the header and footer. When the code is added properly to your website, visitors will be able to access the compliant version of your site. To make this easy, we offer a variety of solutions to get the job done. From plug-ins for popular web publishing platforms like Wordpress and Drupal, to the raw code and documentation for development teams. Plus, we offer a level of support that is responsive and friendly. Whether you’re 1 location or 1,000, the Protection Pack is perfect for large companies that need a quick accessibility solution. Our support team will work with your technical contact to ensure a smooth rollout. Different content for different locations? No problem. We will perform a thorough assessment of all your businesses and gather necessary requirements so every location is represented and offers accurate information to your customers. Multiple concepts? Call us for bundle pricing at 850-807-4398.